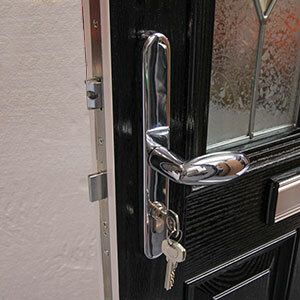 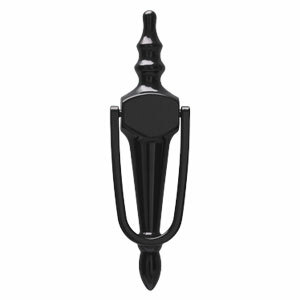 Vista Manufactures high-quality composite doors using 5 hook bolts. 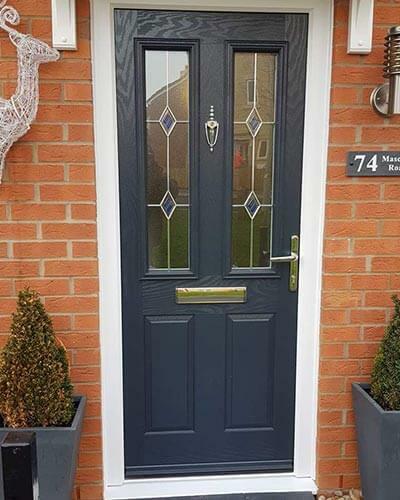 Our composite doors feature a rigid polymer subframe, a high-density CFC-free polyurethane foam core, impact resistant GRP skin, a 5-point locking system, and anti-snap, bump, pick and drill cylinder fitted with a guard for ultimate security. 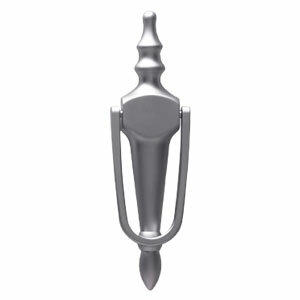 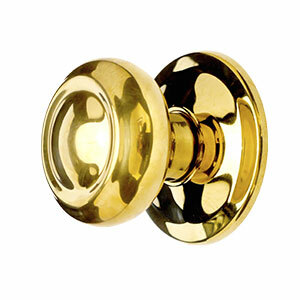 The locks 5 hook configuration provides the best in home security systems. 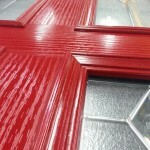 As a well-renowned composite supplier, we can also offer quick lead times to all our customers. 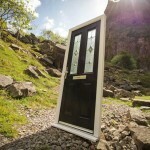 XtremeDoors by Vista are one of the highest spec composite doors on the market. 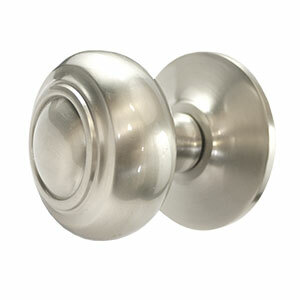 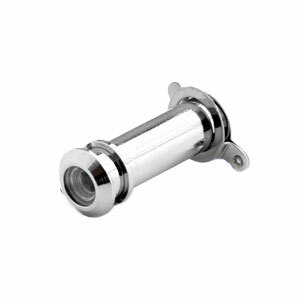 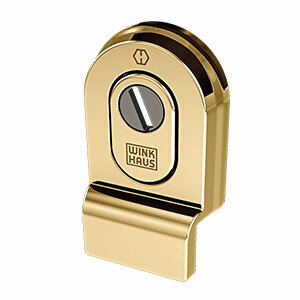 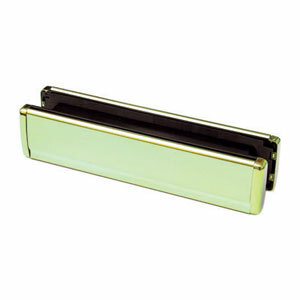 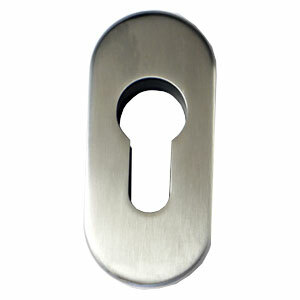 With 5 point locking and Secured by Design status, it’s also one of the most secure. 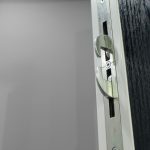 The XtremeDoor has PAS24 2016 Enhanced Security accreditation, so you can rest assured that your home is safe. 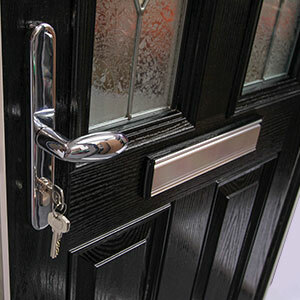 Composite doors are much more thermally efficient than either timber or PVCu. 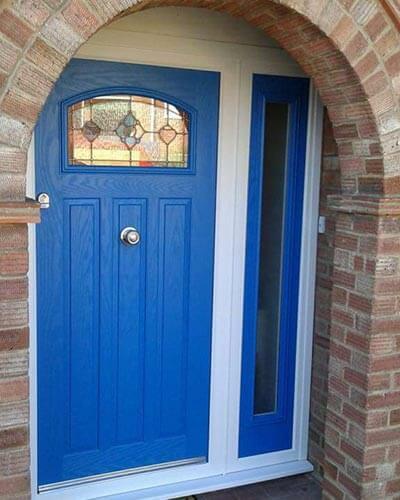 They are manufactured to the highest quality standards, making them more thermally efficient by design. 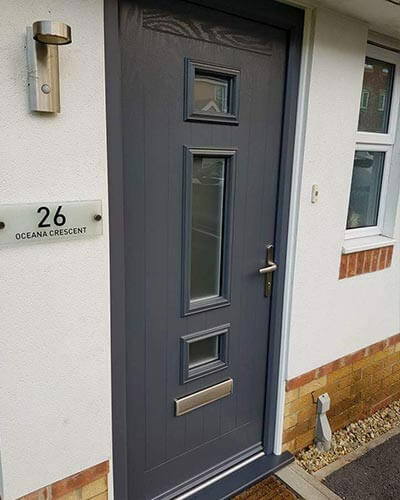 The warm foam core allows the door to have a significantly better ‘U’ value than traditional timber, PVCu skinned timber, and steel doors. 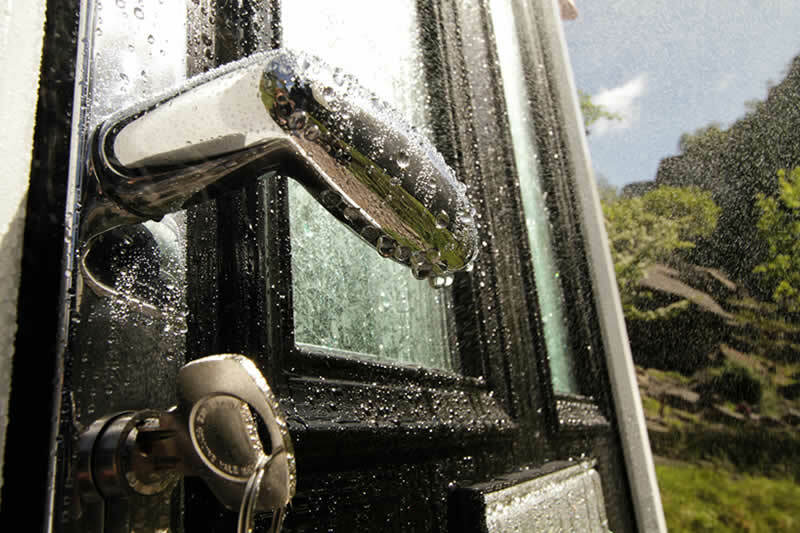 Our entire range meets the requirements of current Building Regulations. 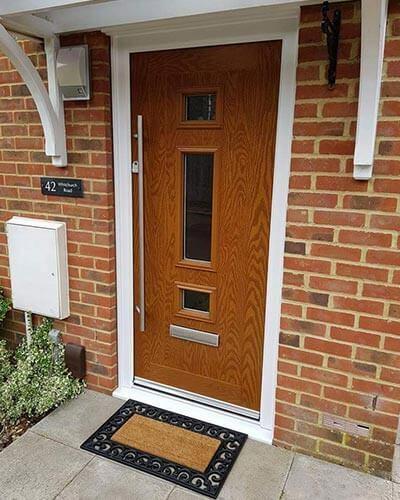 There are various upgrades to glass options which increase the thermal performance of the door. 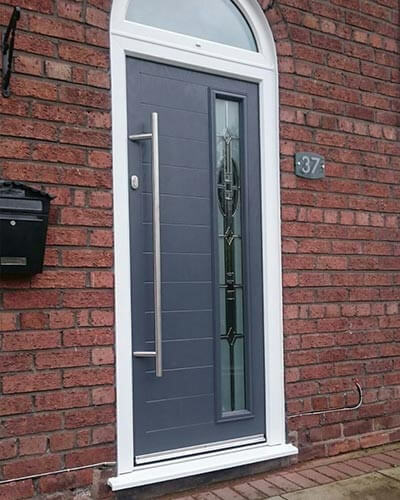 Our composite doors are sure to keep your home warmer and help to reduce your energy bills. 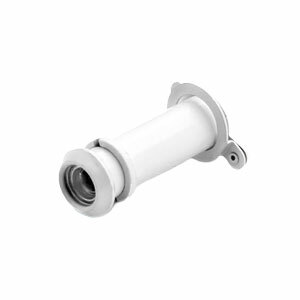 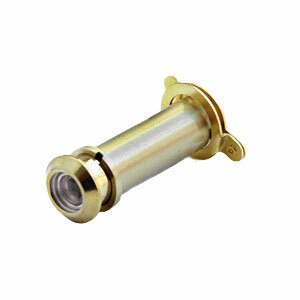 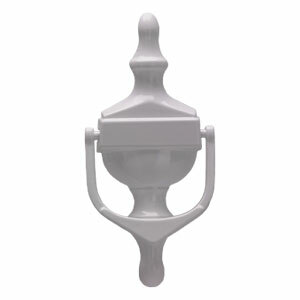 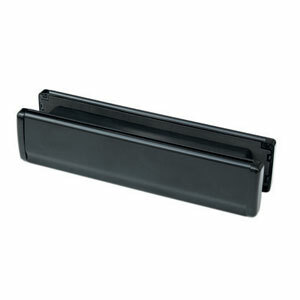 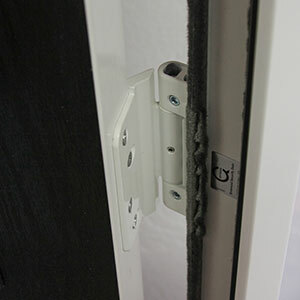 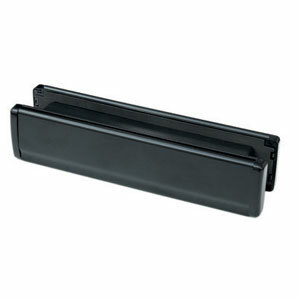 Our composites are easy to fit thanks to the 3 x 3 way adjustable hinge. 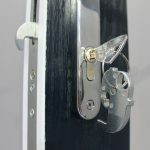 Installation time is shortened as you can adjust the hinge laterally and vertically using an Allen key with no need to dismount the door leaf. 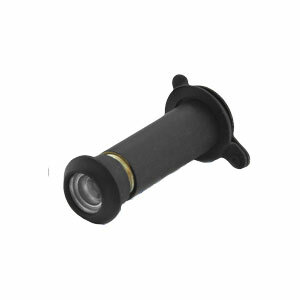 It’s also compression adjustable to achieve optimum weather tightness. 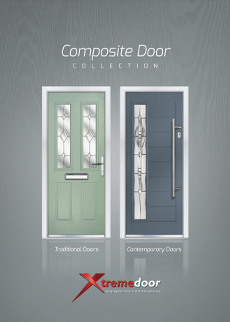 The XtremeDoor composite door offers the end user great style options, including a wide range of glazing and colour options. 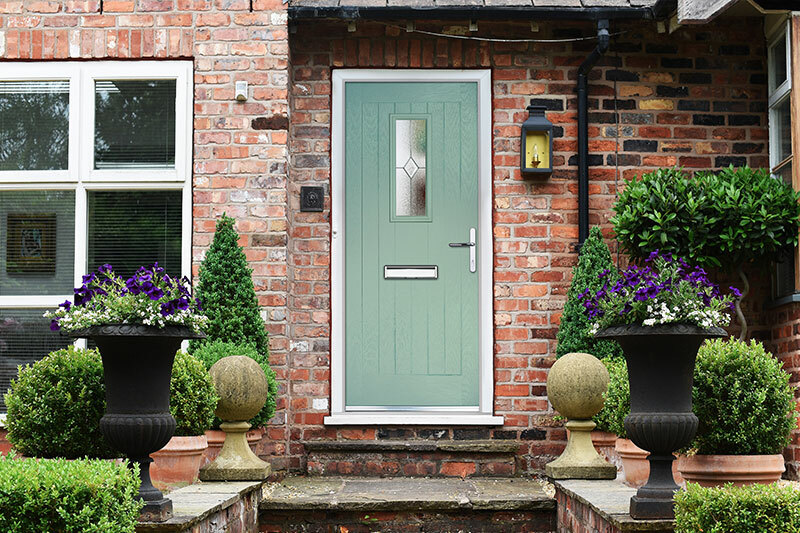 If you require further information about our composite doors please contact the team today, call 0151 608 1423 or contact us here. 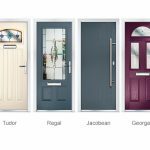 Our composites are available in a wide range of styles and glass options to suit a variety of consumer tastes and trends. 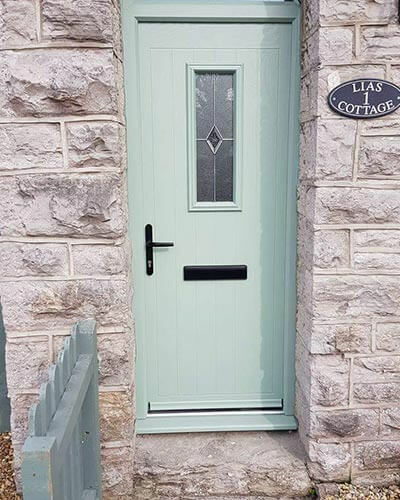 Whether it’s a Green composite door or a different colour you require, our standard colour range includes Black, Blue, Green, Light Oak, Red, Rosewood and White. 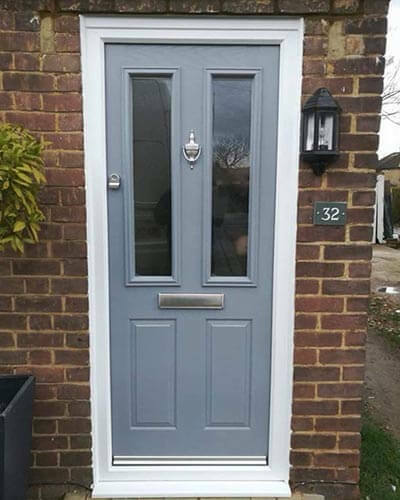 But with our colour coating facility, we can also offer our popular Heritage colour range: Cream, Chartwell Green, Duck Egg Blue, French Blue, Royal Magenta Anthracite Grey, Slate and Moondust Grey. 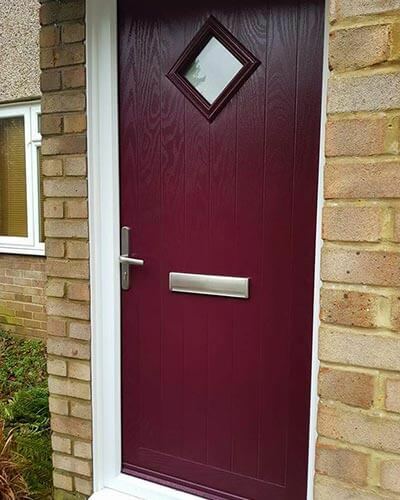 For more adventurous customers our composites are available in any RAL colour, allowing you to offer your customers a completely unique look for their home’s entrance. 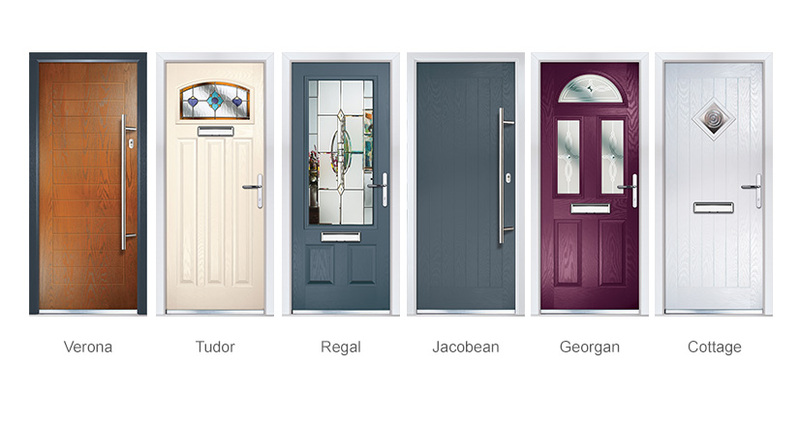 Offer your clients a wide range of glazing options from Pilkington to suit their personal tastes. 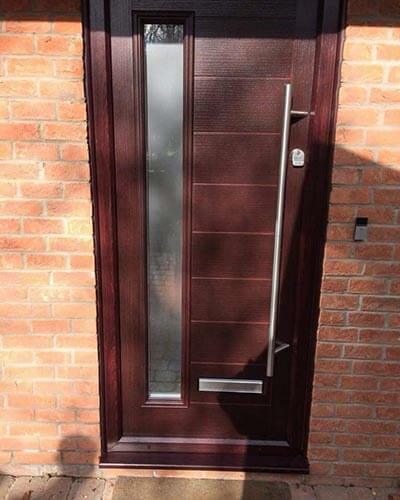 Some styles are also available with triple glazing for maximum efficiency. 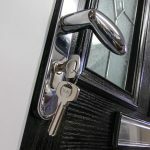 See our brochure for full details. 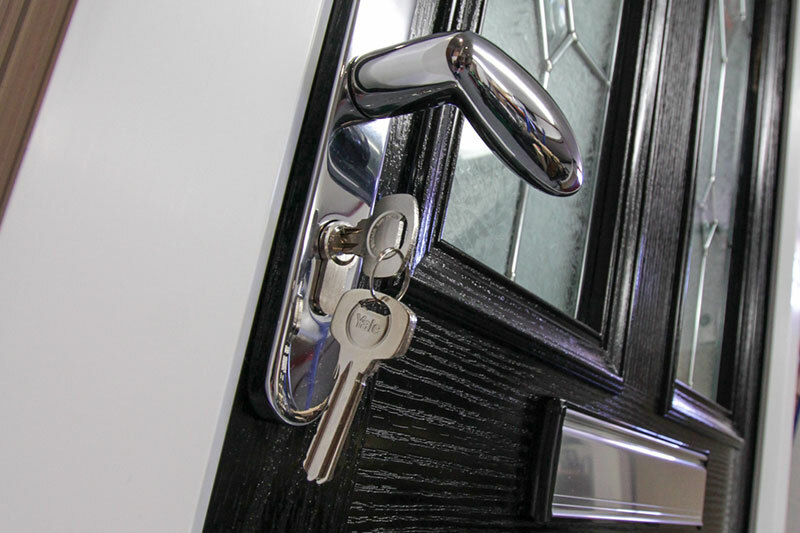 Add the finishing touches to your XtremeDoor with our wide range of door furniture. 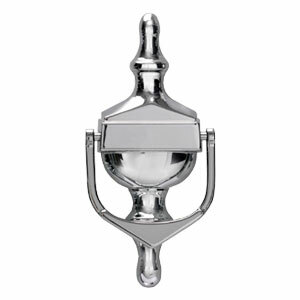 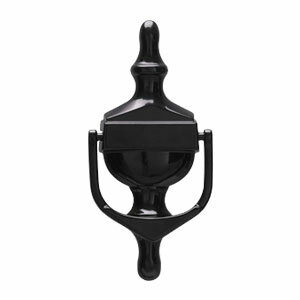 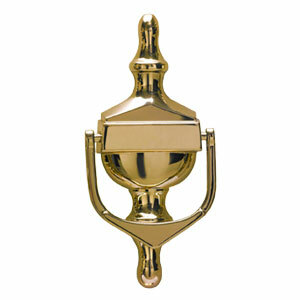 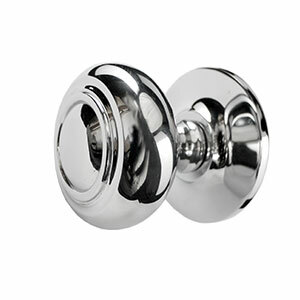 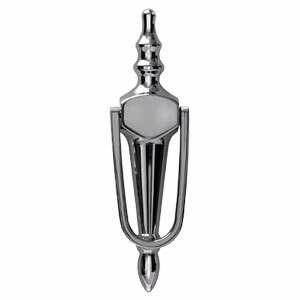 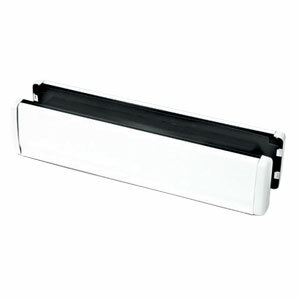 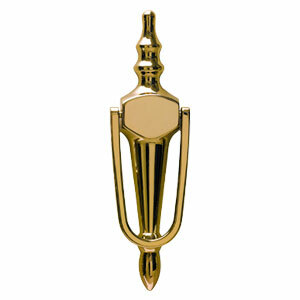 This includes letterplates and spyholes, as well as decorative and slimline urns. 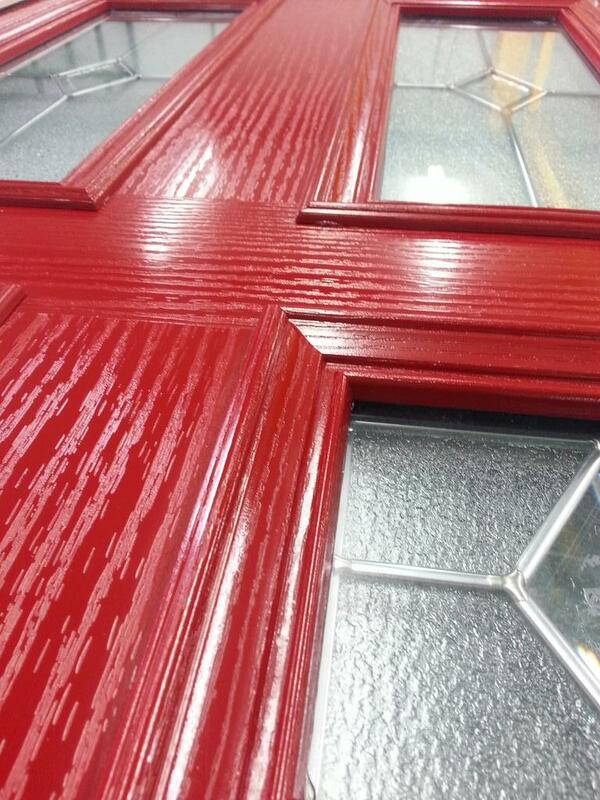 There’s also a selection of finishes to choose from to enhance the colour and style of your XtremeDoor. 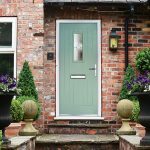 Thermally efficient home improvement products are very popular with homeowners looking to keep their home warmer and save on their energy bills. 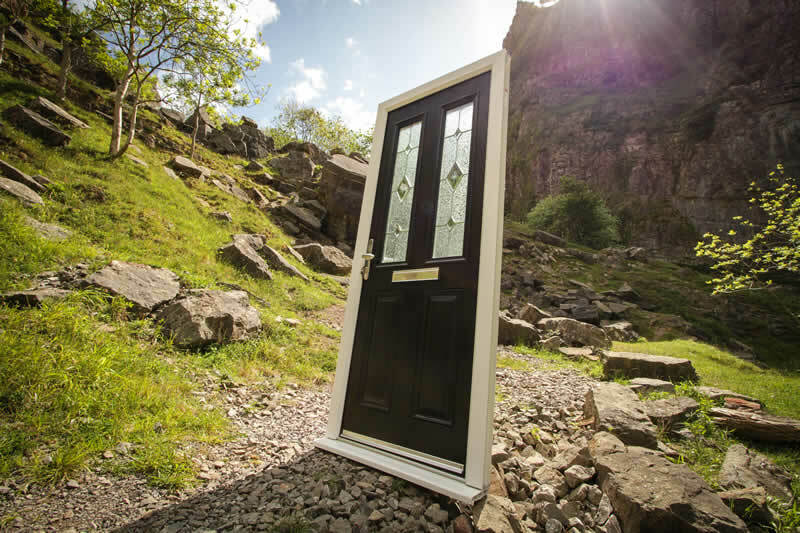 Vista composite doors have been through testing to prove their thermal efficiency. 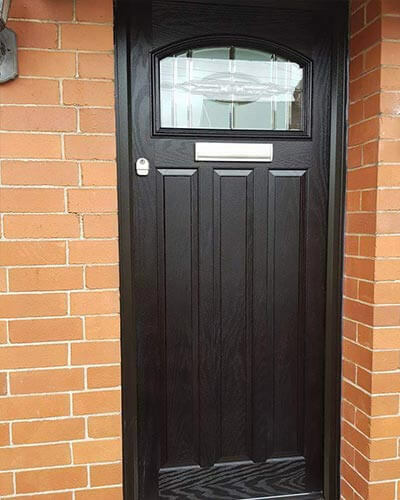 Our doors were up against a solid timber core composite door and a traditional panelled door. 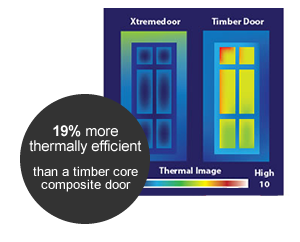 The results conclude our composites are 19% more thermally efficient than the solid timber core composite door and 17% more thermally efficient than the traditional timber panelled door. 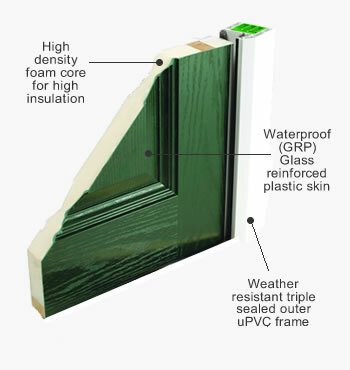 High levels of thermal insulation are achieved through a high density foam core and uPVC edge-banding, with U-values as low as 0.8Wm2K.